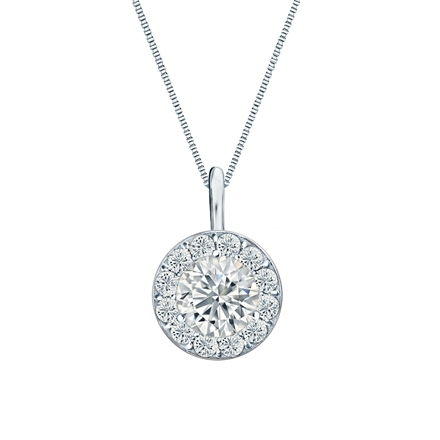 This dazzling diamond pendant features certified round diamond with 0.60 ct. total weight center stone in halo setting and glistening 14k white gold metal surrounded with small dazzling 0.40 ct. total weight round-cut side diamonds totaling to 1.00 ct. 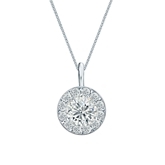 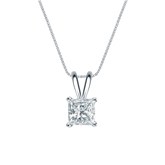 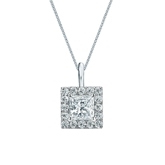 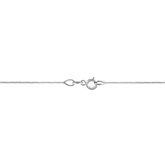 The pendant comes with a matching 18-inch box chain that secures with a spring ring clasp. Total Carat Weight: 0.60 ct. tw. Total Carat Weight: 0.40 ct. tw.